Main Service We usually transport within the Black Sea and Eastern Mediterranean areas including Turkey's southern coastal areas. Onyx maritime, ISM and ISPS International Documentation Services. For the ISM code, internal and external inspection procedures are required from ship operating companies to determine the operation of the system on board and at the company office. At this point, ONYX certificated and experienced auditors can do auditing to reduce the workload and costs of the operating companies. ISM, ISPS Code receiving vessels, in accordance with all national and international regulations, ISM and ISPS provide the most appropriate management of fleet vessels under the code. Onyx Maritime Company, ISM, ISPS Code consultancy with the experienced and solution-focused team and the best quality and quick service in this process in the best conditions. In the international maritime sector, it is the marine business that will last for generations with young ships in accordance with the international industry standards in terms of safety, life, property and environment. With constant development, efficiency and efficiency in maritime sector, the company will reach to tomorrow in accordance with modern standards of marine industry, young, suitable tonnage and type and according to international maritime business. Transportation of large volume and heavy tonnage by sea and road requires special knowledge and expertise. We have the necessary resources and knowledge to suggest solutions to such transport demands in our own world. 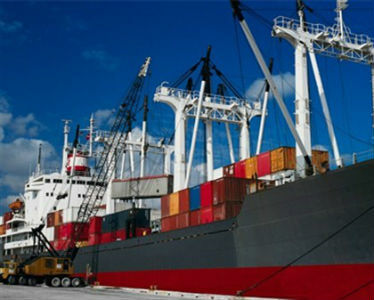 ONYX MARITIME, Adopting a quality, professional, solution-oriented, professional service mentality that is in line with the dynamic structure of the sector and focusing on delivering the best service to its customers with a perfect trust environment for this purpose, it is a maritime company. Copyrights © 2017 Oniks Maritime. All rights reserved.